Greece has agreed to cut up to 40,000 public workers over the next two years, in return for continued financial assistance. 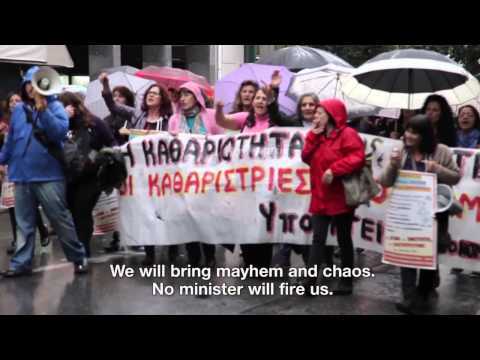 The global union federation Public Services International joined Greek workers who took to the streets in a general strike on 6 November 2013 to protest continued cuts to decent jobs and public services imposed by the 'Troika'. PSI-EPSU assembled an international team of labour journalists to report the stories of Greek workers on-location.